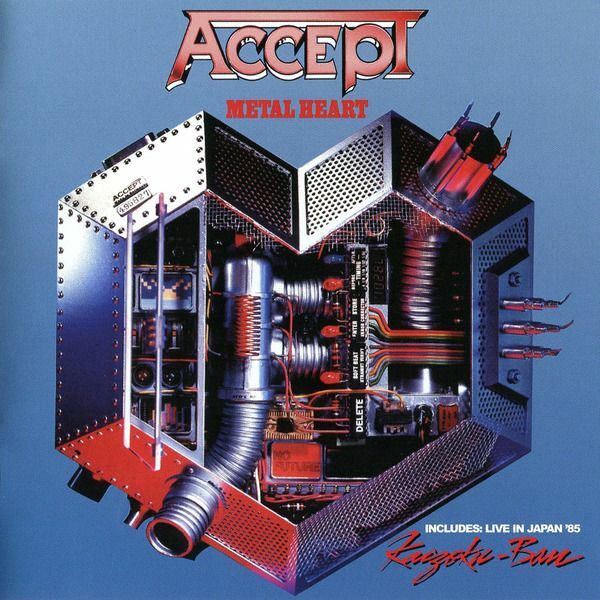 "Metal Heart”, Accept’s sixth studio album, was their second major label release after 1983’s "Balls to The Wall”. 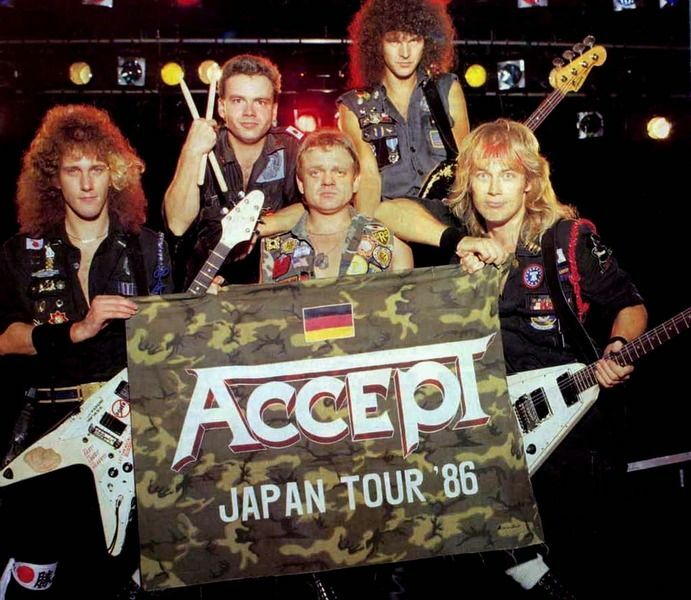 Their 1985 record found the legendary and highly influential German heavy metal band go in a slightly more US radio-friendly than their previous releases, particularly on the single ‘Midnight Mover’.This edition now includes the Japanese live mini-album "Kaizoku-Ban” in its entirety, recorded in Nagoya, Japan, on September 19, 1985 on the Japanese leg of the band’s Metal Heart world tour. 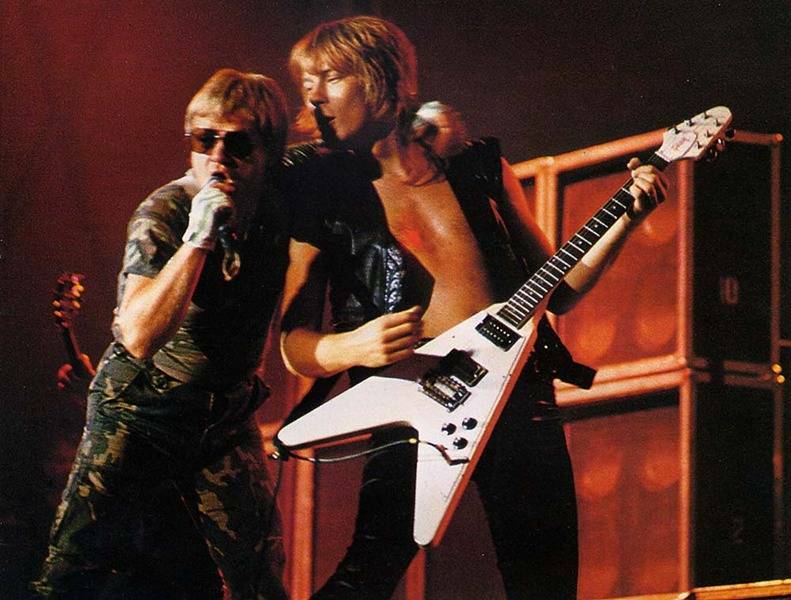 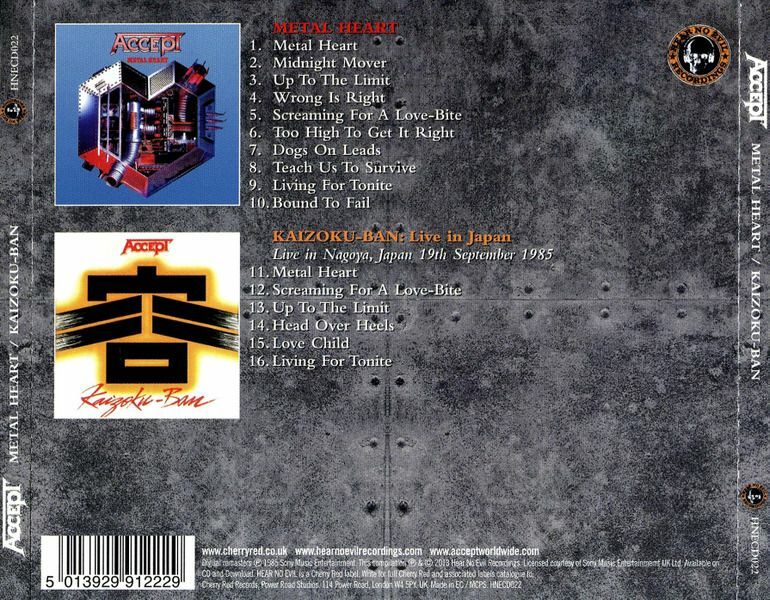 "Kaizoku-Ban” features ‘Metal Heart’, ‘Screaming For A Love-Bite’ and ‘Up To The Limit’ from "Metal Heart” and ‘Head Over Heels’, ‘Love Child’ and ‘Living For Tonite’ from their previous long-player, "Balls to The Wall”.The album was their first to be produced by famed German producer Dieter Dirks, best known for his work with fellow Teutonic rockers, the Scorpions.This varied album strays into jazz territory on ‘Teach Us To Survive’ and even classical themes, with parts of Tchaikovsky's ‘Slavonic March’ and Beethoven's ‘Für Elise’ featured during the title track. 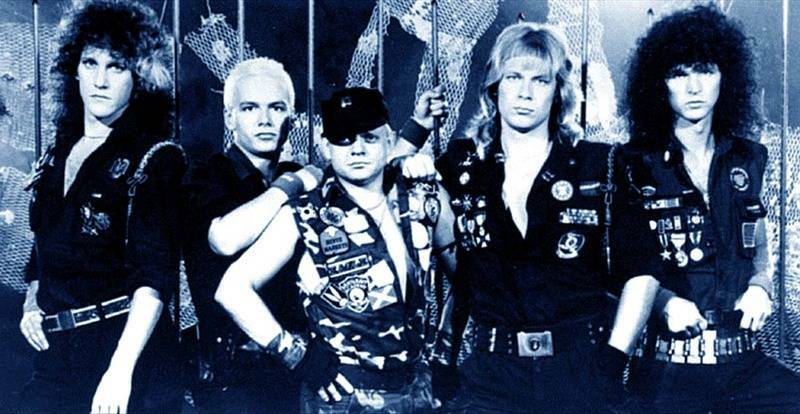 The 16 page booklet features liner notes from Metal Hammer and Classic Rock’s Malcolm Dome based on a new interview with the band’s Wolf Hoffman.